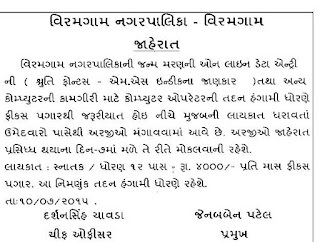 Viramgam Nagarpalika has published a Advertisement for below mentioned Posts 2015. 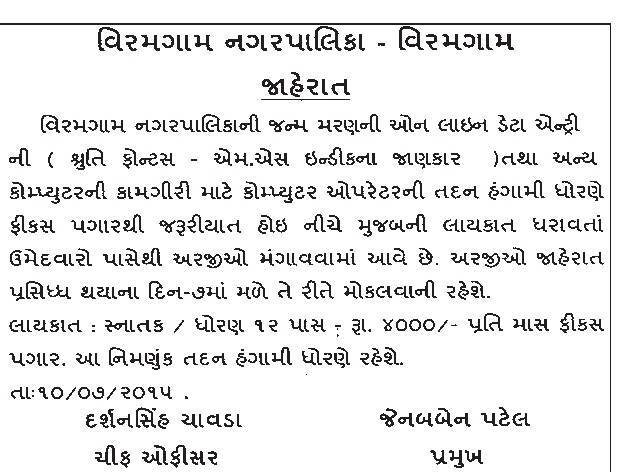 Check below for more details . Educational Qualification : Any Graduate or 12th (10+2 / HSC) Passed from recognized university or instituted.